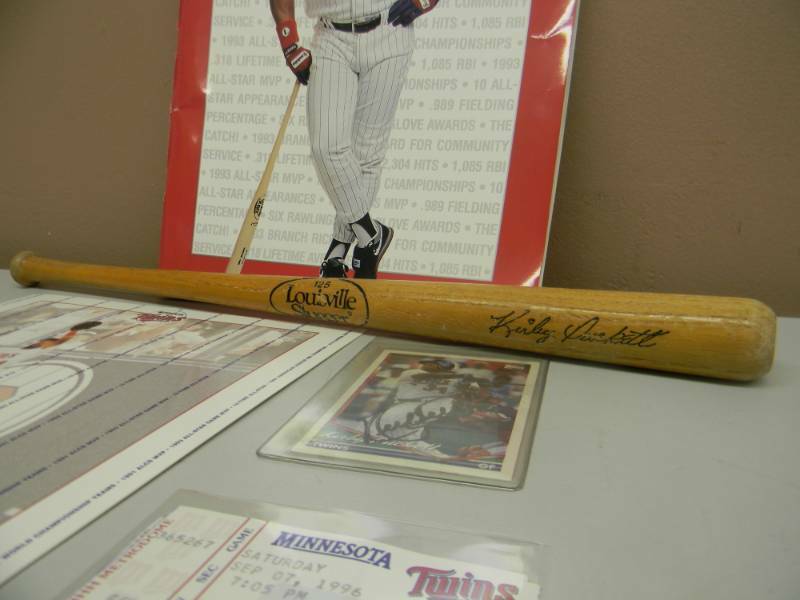 KIRBY PUCKETT COLLECTION! 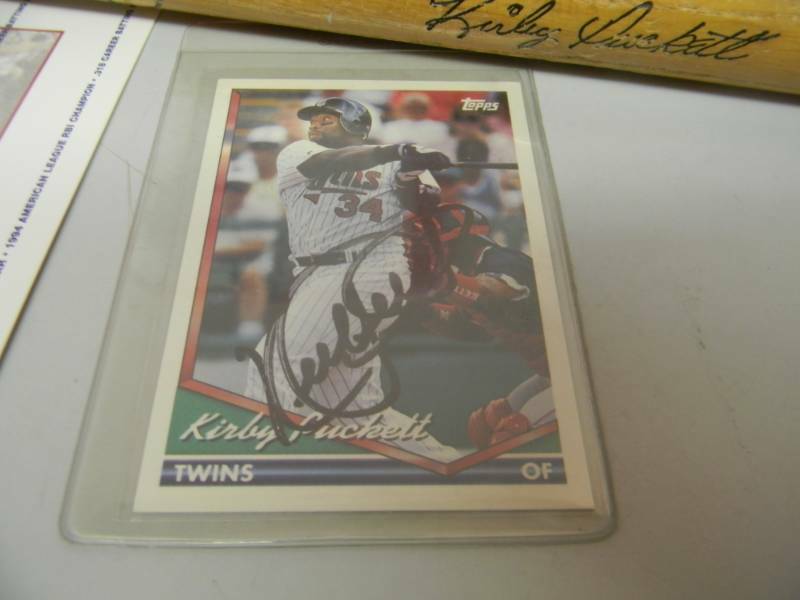 - SIGNED TOPPS BASEBALL CARD! 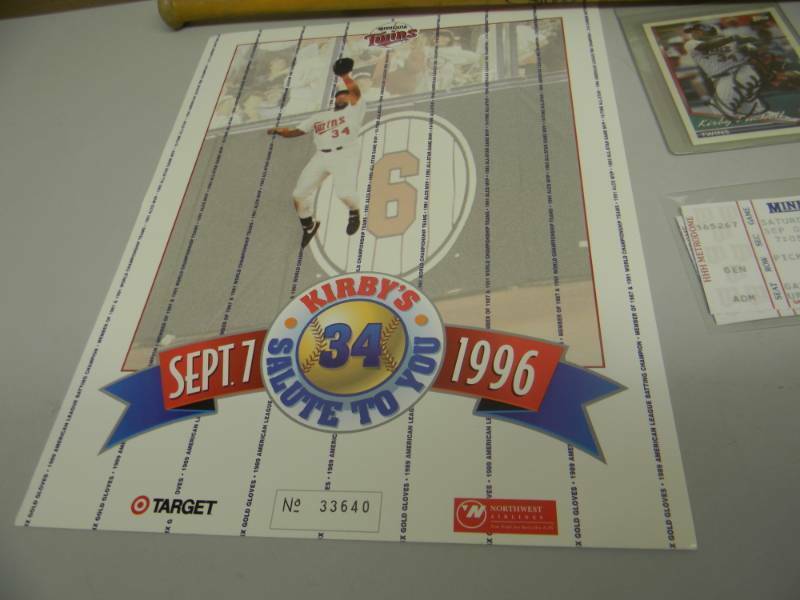 - KIRBY'S SALUTE TO YOU SEPT. 7 1996 POSTER, PROGRAM & TICKETS! - SOUVENIR BAT! - AWESOME COLLECTION! 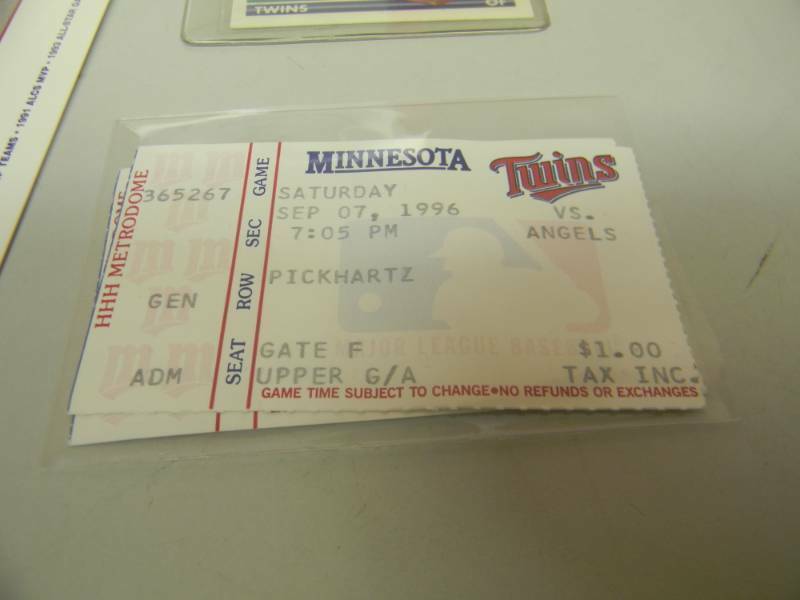 - SEE PICTURES! 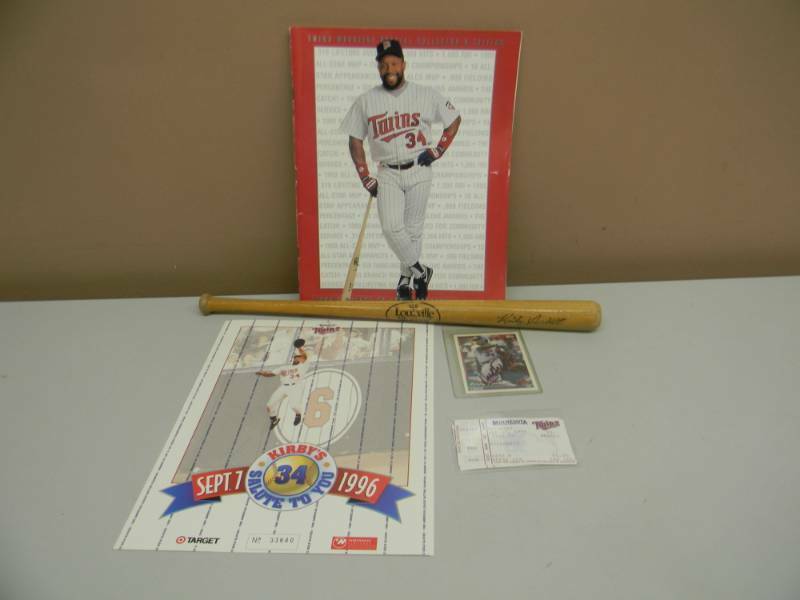 ALL AUTOGRAPHS ARE GUARANTEED ORIGINAL!